Enjoy the freedom of hopping on and hop off at as many destinations as you please - stay as long as you like! See some of the best wineries, breweries, museums and much more! If you want the flexibility of exploring Marlborough on your own timescale without the stress of wondering where to go and having to organise transportation, our fun and relaxing hop on hop off tour has you covered! Sit back and relax on our comfortable coach as our knowledgeable drivers prepare you with all the information needed for a fantastic day out. 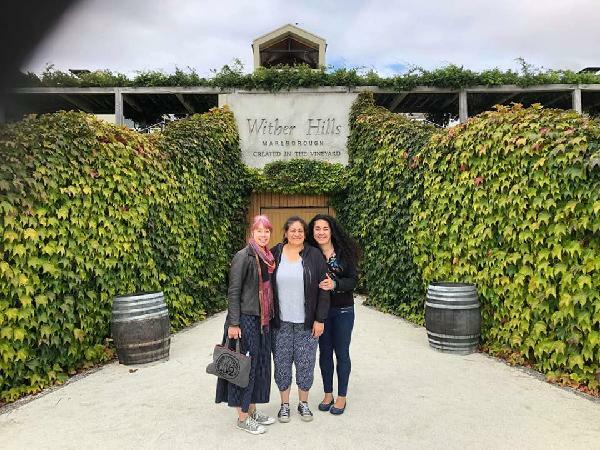 You’ll visit various popular attractions and local gems in Marlborough, including its museums, breweries, restaurants, activity centres, shopping areas, and of course, some of the best breweries and wineries in the region. Jump on and off as you please, visiting as many destinations as you like and choosing your duration of stay at each spot – it’s as simple as that! • Marlborough Museum - known for its Wine & archaeology Exhibitions. • Brayshaw Heritage Park - home to a number of heritage organizations. • Omaka Classis Cars - a unique collection of classic NZ vehicles from the 1950 - 1980's. • Omaka Aviation Heritage Centre - two collections of rare aircraft brought to life in powerful displays and lifelike mannequins. • Wither Hills - an exceptional vineyard bordering the landmark Wither Hills range. • Marlborough Golf Club - One of NZ oldest courses, located among vineyards and beautiful scenery. • Highfield TerraVin Vineyard Restaurant - serves delicious Mediterranean style food complete with breathtaking views. • Cork & Keg - An English Style Tavern, serving beer, cider, wine and great food plus free beer tasting for Hop on Hop off Customers. • Gibson Bridge - a boutique family owned vineyard located in Renwick. • Framingham - specializing in aromatic styled wines to accompany food. • The Vines Village - home to Golden Mile Brewing, the perfect stop for a cold beer or wine flight on the lakeside deck. • Explore Marlborough - where you can enjoy a self-guided biking wine tour. • Moa Brewery - home to an international award-winning range of handcrafted beer. 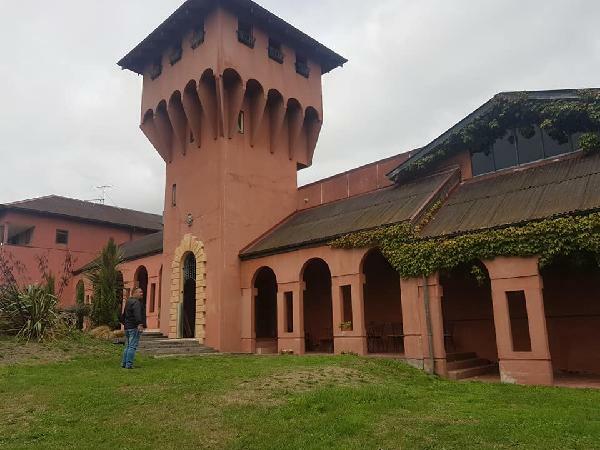 • Allan Scott - A hub of exclusive wines and gifts, relaxing indoor/outdoor dining, gardens, & giant chess. • Saint Clair - One of Marlborough’s most awarded family-owned wineries. • Makana Chocolate - boutique chocolate factory sourcing handmade gift-quality chocolates and tempting confections. • E-ko tours - experience the true magic of the Marlborough Sounds on their Wildlife Adventures. • Edwin Fox Maritime Musuem - the last wooden ship that took convicts to Australia and brought immigrants to New Zealand. Tour Departure Point: Picton i-SITE: Tourist Information Centre, The Foreshore, Picton. Schedule: First bus departs Picton Information Centre at 9.45am, last bus arrives back to Picton Information Centre at 6.00pm. Allow approximately 2 hours for a full bus circuit. Please be at your stop 5 minutes before departure time. We are not responsible for any delays due to traffic or if you are late. We do not take bookings of more than 8 customers at a time. It is because only a group of up to 8 people have the most enjoyable experience at the cellar doors. ( It also prevents customer from jumping on & off due to the buses only having 20 seats) If you are looking for larger numbers or a special occasion please contact us directly. Please note: The ticket is valid for one day and starts with your booked time. 4 people are required to run the bus. We reserve the right to change the date or offer a full refund. Child age 13 years and under. Bus is not licensed to drink alcohol onboard. Allow for a duration of up to 7.5 hours. Great drivers with lots of local knowledge. Very knowledgeable drivers who were always on time. On the way home, Warren dropped us just up the road from the i Centre upon our request. Good way to visit all of the wineries that we wanted to visit, rather than a set schedule. Few freebies thrown in from venues as we had the hop on hop off wristband which the drivers reminded us as you get off (cloudy heads towards the end, as you can imagine). Would recommend to anyone. Hop on Hop off was the perfect option for us! We arrived later in the day to. Blenheim, we’re still able to book and didn’t have to worry about a thing. It was just nice for both of us to kick back and let someone else do the driving. A really nice group of options for everyone’s taste. Your message has been sent to Full Day Hop on Hop Off Wine Tours - Marlborough Wine, Beer, Food & Wonders. You should hear from them shortly. 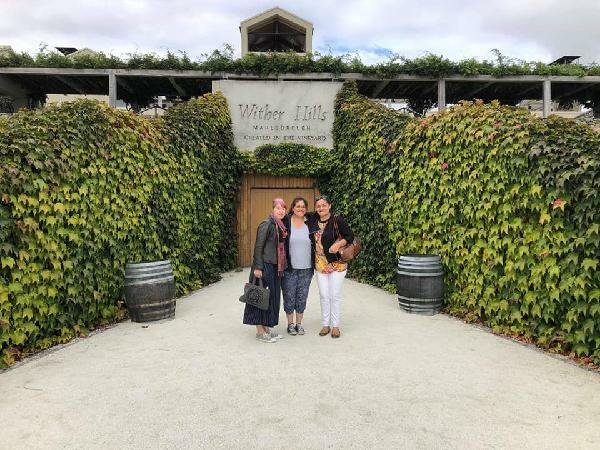 Please note: all responses will come directly from Full Day Hop on Hop Off Wine Tours - Marlborough Wine, Beer, Food & Wonders, and not the team at Bookme.